You might have noticed lately that some of your favorite productivity apps are being acquired and shut down or just simply discontinued. Astrid, Catch Notes, and now Bento are just a few examples. 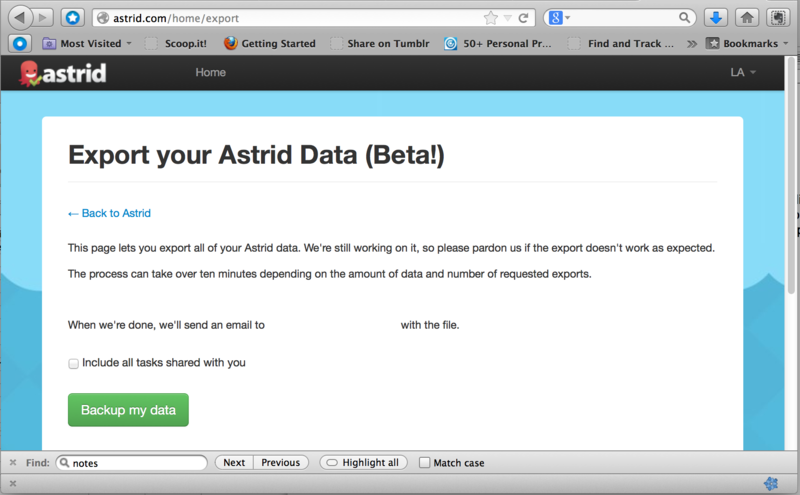 Luckily, we’ve made it easy to import and export data from .csv files. This post includes the information you need to know if you plan to import data from Bento or other apps. Will LifeTopix Meet My Needs? You can’t migrate all of your data, but you can import several types. We recommend that you store your media files, such as photos and videos in Dropbox, and then associate these items with LifeTopix projects and other objects. The objects and fields that you can import into LifeTopix from a different application are described below, and all required fields are indicated. Note: Using the formats and spreadsheets described here, you can also import large amounts of data into LifeTopix. And keep in mind that you can import shopping items that belong to multiple shopping lists from just one .csv file — this also applies to log items and checklists. The spreadsheet names must match the names indicated below. Log items are primarily used for fitness and health metrics. Tasks are primarily used for things to do for projects, trips, visitors, and service providers. Checklists are primarily used for things to do or items you need to check off such as packing lists. Shopping list items are primarily used for grocery shopping or other shopping lists, such as business or personal items. 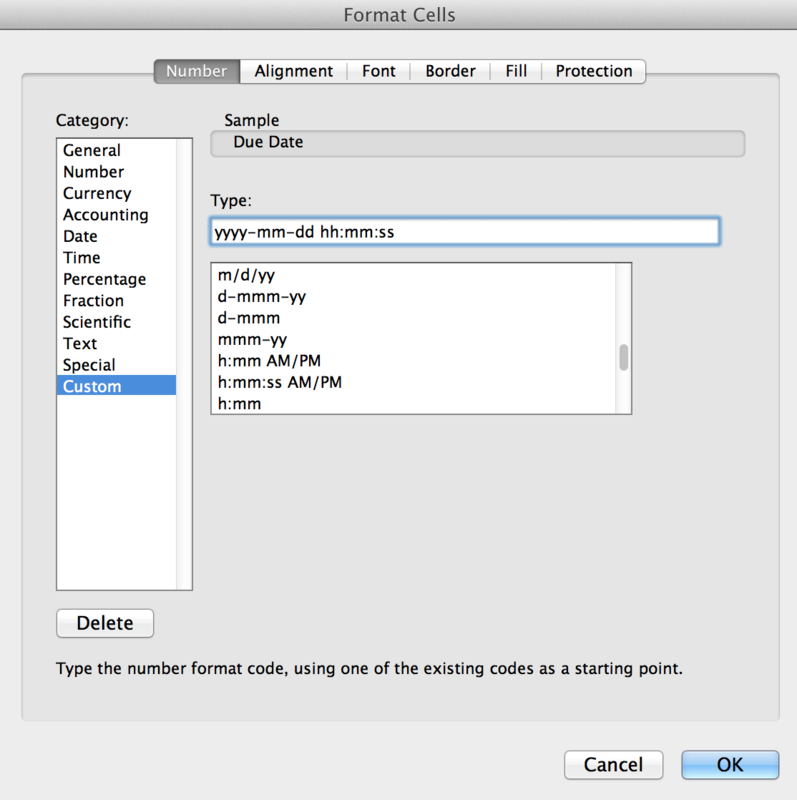 It is very important to format the date cells with this format: yyyy-mm-dd hh:mm:ss as a custom format or your date values will not migrate, as shown below. Save the spreadsheets as insertcorrectname.csv and the email them to yourself. In the email message, tap and hold the name of the .csv file and then open it in LifeTopix. LifeTopix will display messages similar to the following. Accept them and continue. Next, verify that your items migrated correctly. If you have any questions about importing your data, please ask in the comments or contact support. We’re here to help. Good luck! Bento is a registered trademark of FileMaker, Inc. Catch Notes is a registered trademark of Catch.com, Inc. Astrid is a registered trademark of Yahoo. Now that Yahoo is shutting down the popular Astrid to-do list and shopping list app, you’re probably wanting to know what to do about your tasks and shopping lists. We have a solution. 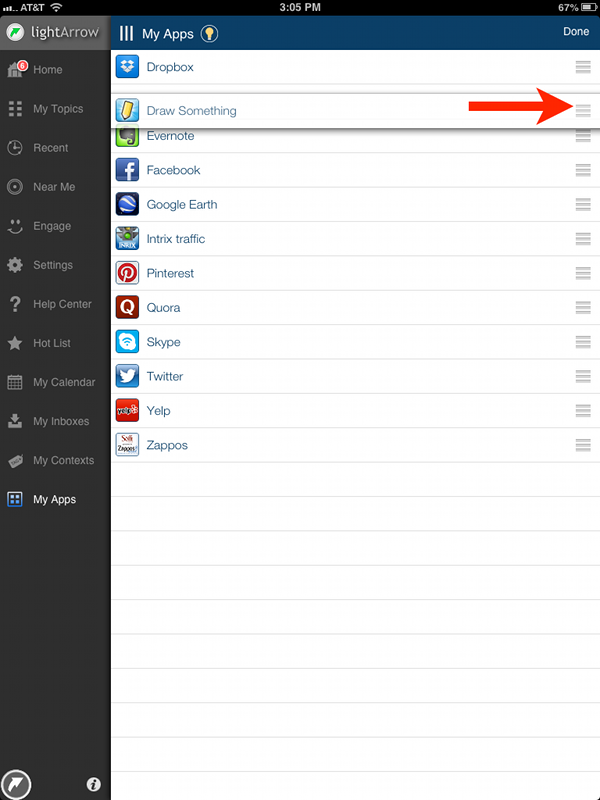 You can easily migrate your Astrid tasks and Shopping lists from Astrid to LifeTopix (or the starter app, My.Agenda, with in-app purchases). Astrid logo is the property of Yahoo. If you have basic knowledge of Excel, then you will find this painless and simple. You’ll need access to Excel or a different application that supports .csv files, your Astrid username and password, and access to your email. First, go to the App Store and purchase the LifeTopix app. It is located at: https://itunes.apple.com/us/app/lifetopix-12-topics-to-organize/id399076264?mt=8. Click Backup my data and your data will be emailed to you in a zip file. When you receive the email, download it. 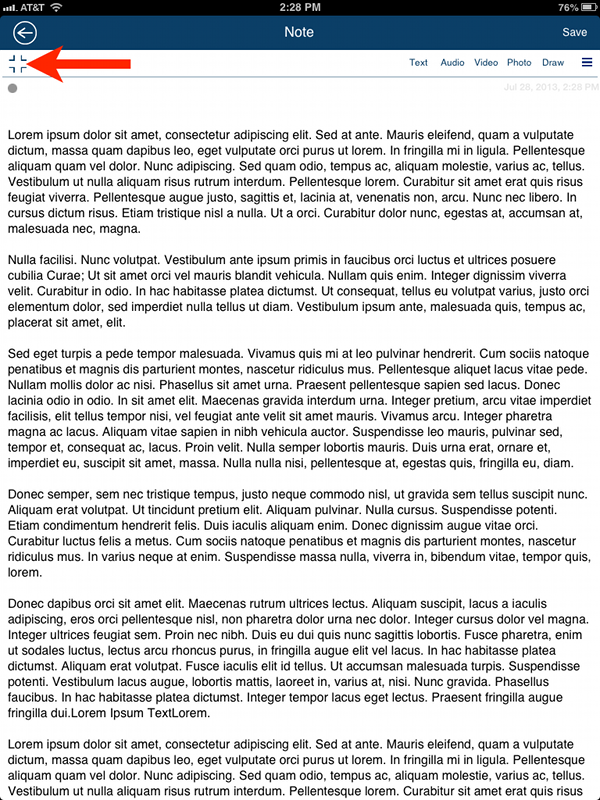 It’s important to change the extension of the to .zip or the file will not open correctly. After you change the name of the file, double click it to extract it. The format that LifeTopix accepts is shown in the following image. Create a separate spreadsheet called ProjectTasks.csv with the following columns. It must be named ProjectsTasks.csv. This spreadsheet can include your tasks and shopping lists (or) you can choose to convert your Astrid shopping items to LifeTopix shopping lists, and I will discuss this further in this post. Now place all your tasks into this spreadsheet with the fields mapped as directed above. You can add information to the blank columns if you prefer. 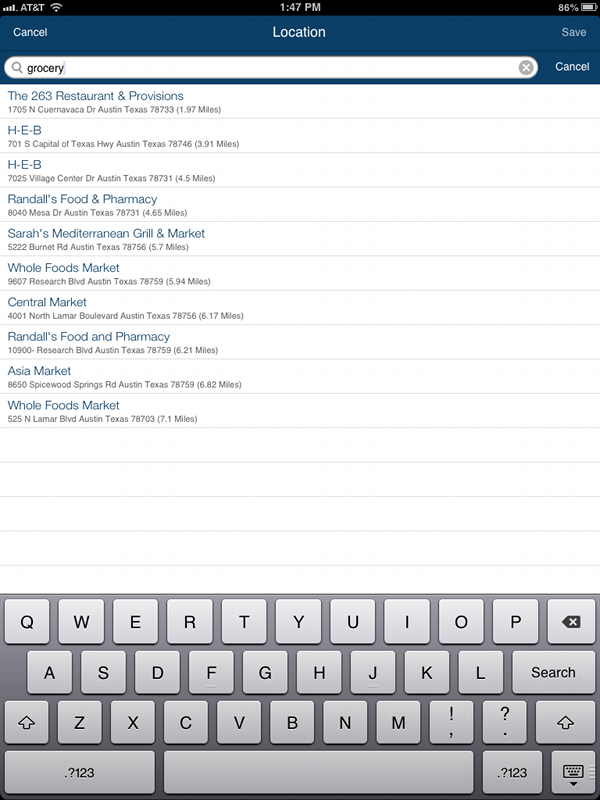 You will notice that shopping items are indicated by the “Lists” column. I’ll discuss a separate spreadsheet for these items. Save the spreadsheet as .csv and email it to yourself. In the email message tap and hold the name of the .csv file and then open it in LifeTopix. LifeTopix will display the following messages. Accept them and continue. Now that you’ve successfully migrated your tasks, I will show you how to migrate your shopping items. Your spreadsheet must be named ShoppingListItems.csv and it should be created as follows. You must enter a shopping list name into the first column and a product name; however, the other fields may stay empty if you choose. I chose to change the name to “Astrid Shopping List” so I could identify the items easily. Save the spreadsheet as ShoppingListItems.csv and email it to yourself. In the email message tap and hold the name of the .csv file and then open it in LifeTopix. LifeTopix will ask you to confirm the import and continue. If you have any questions about importing your tasks, please ask in the comments or contact support. We’re here to help. Good luck! 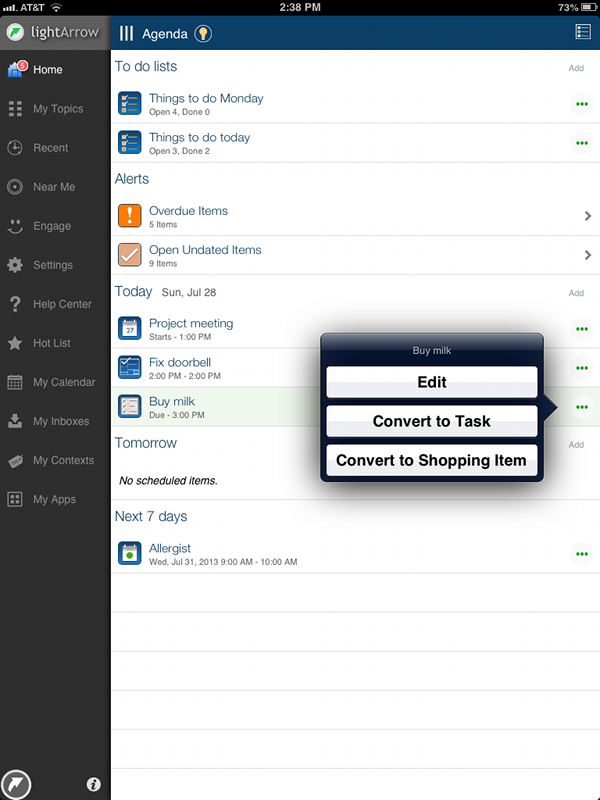 LifeTopix and My.Agenda are personal organization apps for iPad, iPhone, and iPod touch. 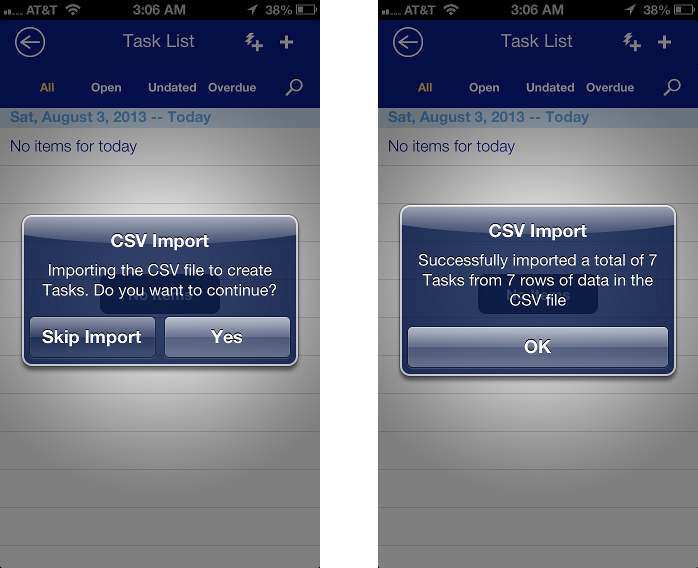 Both apps are especially useful for those who utilize David Allen’s Getting Things Done® (GTD) method. The GTD method is an excellent method for organizing your life and getting things done. And it’s not just for your work life. I recently stumbled upon this post from April Perry that mentions how GTD enabled this mom to really enjoy her family. We’re constantly incorporating features that are useful for GTD, and we enjoy sharing our best practices for using these features. 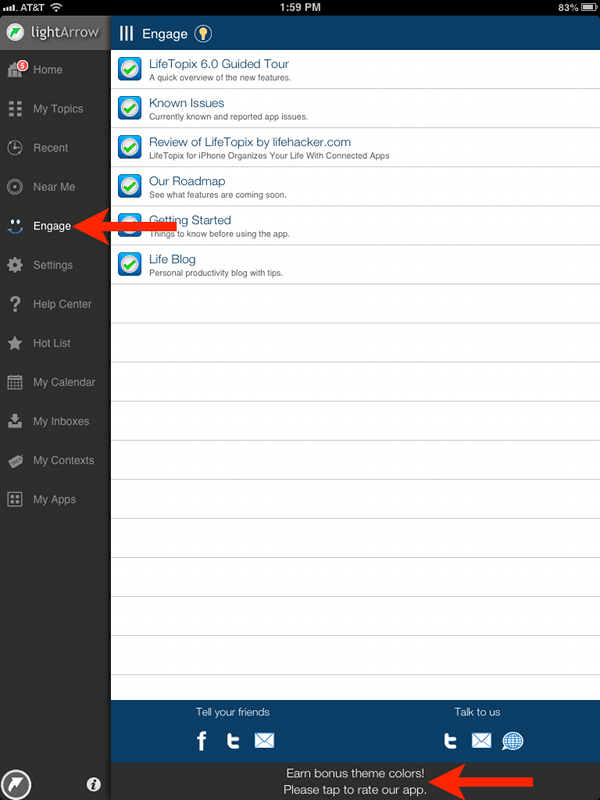 In this post, I’ll show you how you can use LifeTopix’s features for the Organizing phase of GTD. 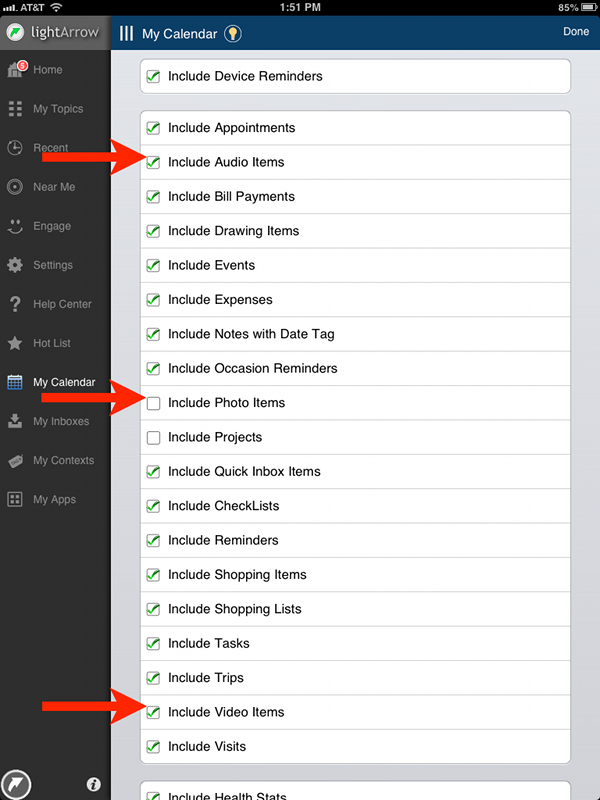 Keep in mind that our starter App, My.Agenda, can include many of these features discussed by purchasing the Get Things Done Pack as an in-app purchase. Note: The screenshots in this post were created using an unreleased version of LifeTopix, which will be coming soon to the App Store. If you’re not familiar with GTD, it’s “the groundbreaking work-life management system by David Allen that provides concrete solutions for transforming overwhelm and uncertainty into an integrated system of stress-free productivity,” according to David Allen’s website. Allen lays out five key phases of the GTD process, which include 1) Capture/Collect, 2) Process, 3) Organize, 4) Review, and 5) Do. This post focuses on the Organize phase of this workflow. What is the Organize Phase of GTD? When you consider organizing, think about how you would divide your home life and work into various areas. Consider how you would sort your life before you get started. 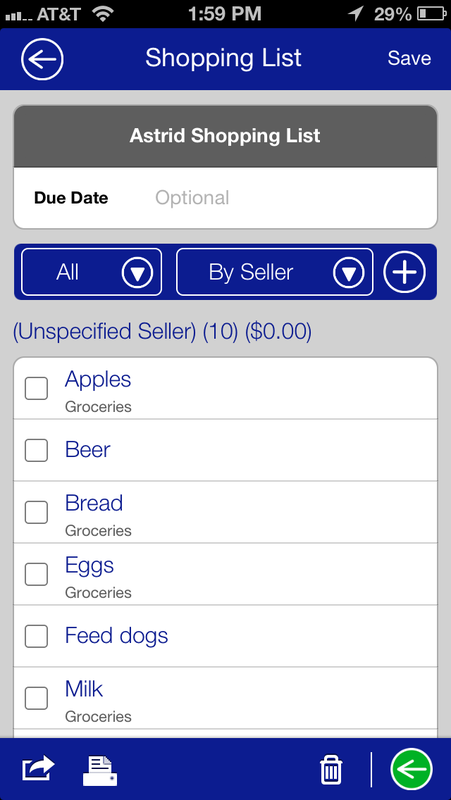 In an earlier post, we discussed using LifeTopix to define each collected item as actionable or non-actionable. Once you’ve completed processing items, you can begin organizing them (or this may be done simultaneously for some items). During the Organize phase, you divide your items into various areas. Projects – Actions that require more than one step to complete. Calendar Items – Actions that must be completed at a designated day and/or time. Waiting For – Items that others need to complete that affect you or your work. Allen suggests that you also organize your reference material, which are items that do not have any actions associated with them. Notes from meetings, classes, etc. During the Capture and Collect phase, you collect items that are subsequently processed during the Processing phase. You might have placed them in a holding area via the LifeTopix Quick Inbox and then converted the items to the proper type of object — such as a Project. Allen suggests that you create projects for actions that require more than one step. For example, if you’re starting a landscaping project, you will have several tasks such as 1) choose three landscape design firms to obtain bids, 2) set up appointments with landscape design firms, 3) choose designs, and so on. When using LifeTopix, your first step for organizing your projects is to define project categories (under Manage Categories in Settings) that are relevant for your life. Built-in categories include Education, Health + Activity, Indoor, Media, and Outdoor, as shown in the screenshot below. You can add more categories or delete the default categories — LifeTopix is very flexible allowing you to define what works for you. You can further organize by creating subcategories under your categories. Once you’ve created your categories, you can create a project and break it down into tasks, as shown in the following screenshot. As a side note, you can view your tasks by Open, Undated, and Overdue. And you can assign a status such as In Progress, On Hold, Completed, Canceled, or on Hold, if desired. Actions that must be completed at a certain date and time, such as classes, meetings, doctor’s appointments, kids’ activities, etc. are handled easily by LifeTopix. Specifically, LifeTopix allows you to define these items by Appointments, Bill Payments, Events, Dated Notes, Occasions, Medications, and Activity/Wellness. 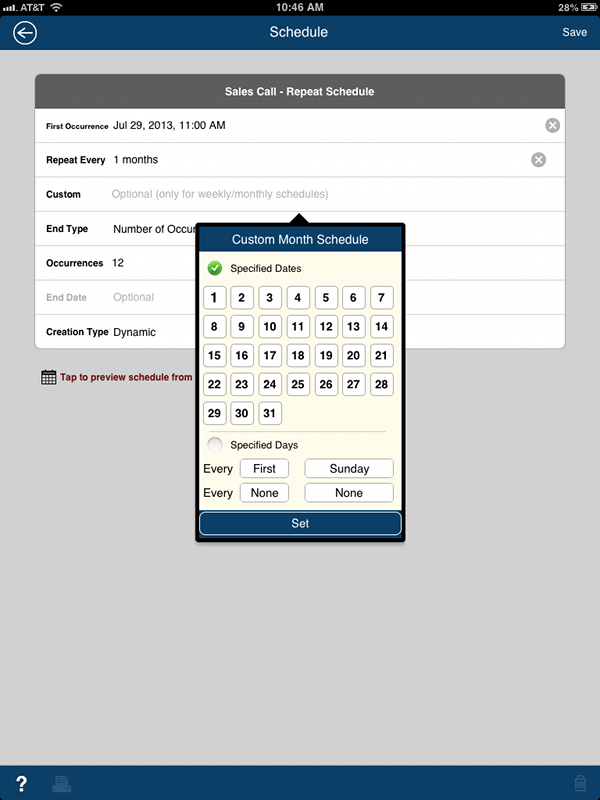 By simply accessing LifeTopix’s Calendar View, tapping the plus sign, choosing Quick Add, and selecting one of the options, you can choose to create dated items such as Trips, Visits, Attending Events, Hosting Events, and Occasions. LifeTopix gives you a variety of options for Next Actions. You can choose to use reminders, tasks not associated with projects, or to-do lists to organize items that only require one step. At times, completion of your tasks might depend upon the completion of a different task by a family member, friend, or colleague. Or, perhaps, you’ve delegated your tasks to someone else. This is when Waiting For items come into play. 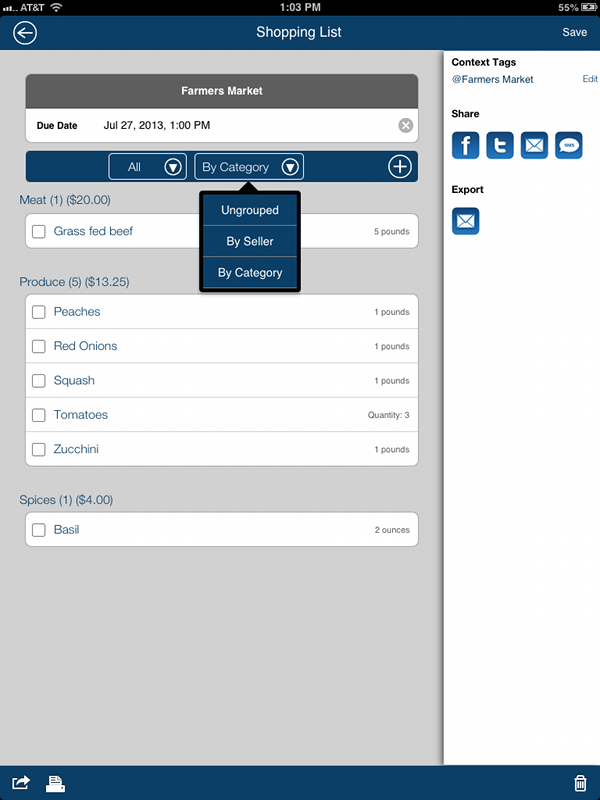 LifeTopix handles these items by allowing you to add owner(s) to a task as shown in the following screenshot. You can view all tasks for each person through the People + Services topic. 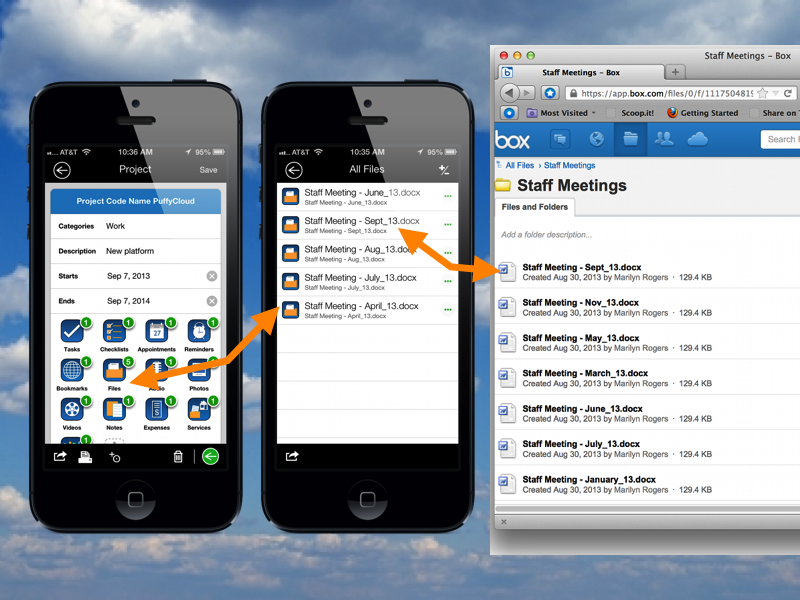 It’s a good idea to create a LifeTopix Group for contacts to which you frequently assign tasks for easy access. When using the GTD method, it’s necessary to consider the context of your captured items. The context defines how and where the item will be completed. How defines the tools, such as @laptop and where defines the location, such as @home. 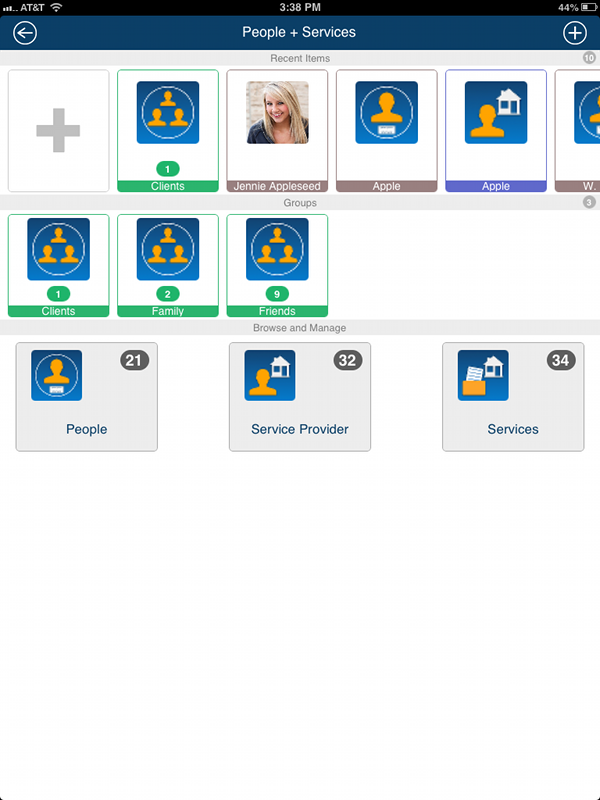 In LifeTopix, contexts are completely configurable to meet your needs and items can include zero or more contexts. You can configure tags in the My Contexts view, which is shown in the screenshot below. You can also access all the items defined with these contexts directly from this view. Reference materials are items that aren’t actionable that include data and files, which may or may not support your projects. LifeTopix allows you to associate several types of objects with projects — allowing quick and easy retrieval. With LifeTopix, you can associate Checklists, Bookmarks, Local and Online Documents, Audio, Photos, Video, Notes, Expenses, Services, and Shopping items with Projects, as shown in the following screenshot. This eliminates the need to file these items into physical paper folders and files using large filing cabinets. And with LifeTopix, you can back up your data to Dropbox™ or other services, allowing you to feel secure about your data. In addition, LifeTopix supports Google Drive, Dropbox™, SkyDrive™, and Evernote™ — allowing you to access files or notes from these services in context with your projects. A future post will discuss the Review and Do Phases in depth, but keep in mind that when you choose actionable items to complete when you review your action lists daily, you can simply set the Due Date to the current day — with or without a specific time. If you choose not to include a time, keep in mind that your calendar will consider a task without a date as an all-day event, which results in a blocked out day to others viewing your shared calendar. 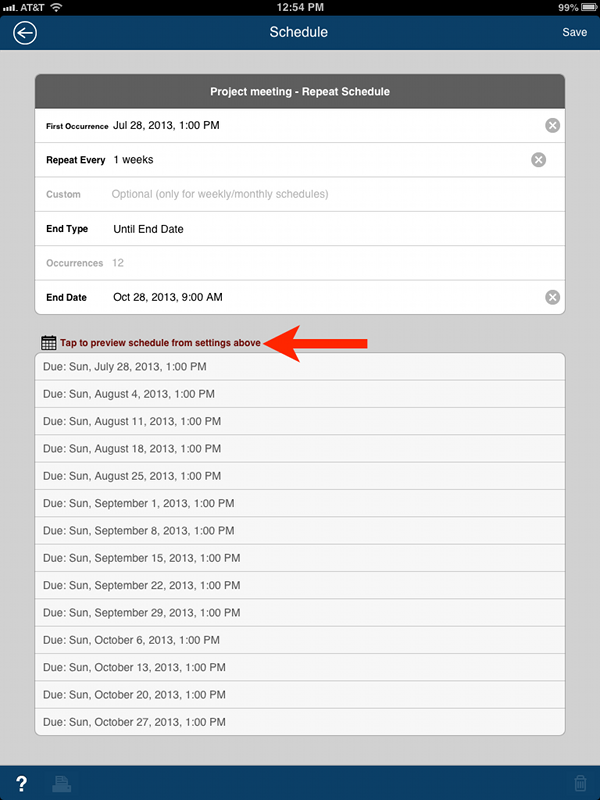 When you’ve added a due date, the Agenda view will show all the tasks in a list view that are due on the current day. The following screenshot shows the resulting Agenda view after tasks have been given due dates. 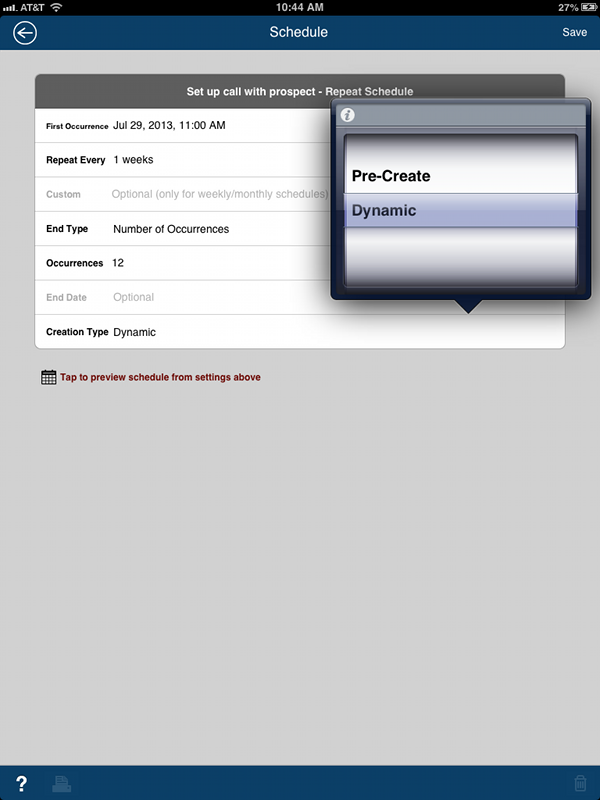 Take note that the items that you view on the Agenda view are completely configurable by you. you can choose to show or hide Device Reminders, Appointments, Bill Payments, Events, Expenses, Notes with Date Tags, Occasion Reminders, Projects, Quick Inbox Items, Checklists, Reminders, Shopping Items, Shopping Lists, Tasks, Trips, Visits, Health Stats, Medication, Nutrition, Activity, and Wellness. We enjoy hearing from you. Please share your best practices for using LifeTopix. 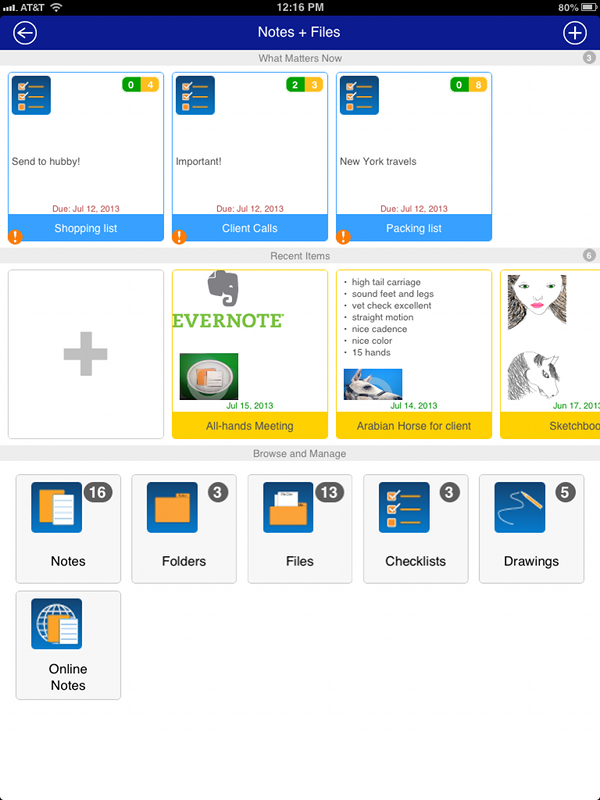 LifeTopix and My.Agenda are personal organization apps for iPad, iPhone, and iPod touch. 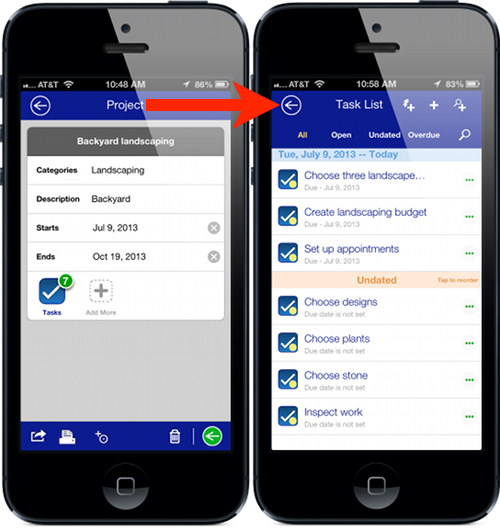 Both apps are especially useful for those who utilize David Allen’s Getting Things Done® (GTD) method. We’re constantly incorporating features that are useful for GTD, and we enjoy sharing our best practices for using these features. In this post, I’ll show you how you can use LifeTopix for the Processing Phase of GTD. Allen lays out five key phases of the GTD process, which include 1) Capture/Collect, 2) Process, 3) Organize, 4) Review, and 5) Do. This post focuses on the Process Phase of this workflow and describes the many ways that you can process your collected items. What is the Process Phase in GTD? In an earlier post (Best Practices for Getting Things Done — Capture and Collect), we discussed using LifeTopix to capture everything that’s floating around in your head. Once these items are in your trusted system, they need to move to the next stage of the workflow, which is Process. During the Process Phase, you define each item collected as actionable or non-actionable. Non-actionable items are reference items or items that you can delete. Actionable items can be further defined in LifeTopix as described in this post. Generally, those who follow the GTD process take an hour or two out each day to perform the Process step. How do you use LifeTopix to Process? During the Process Phase, you define each item collected as actionable or non-actionable. Keep in mind that LifeTopix is very flexible so you’ll find that you can create objects and categories that are suitable for the way that you work. 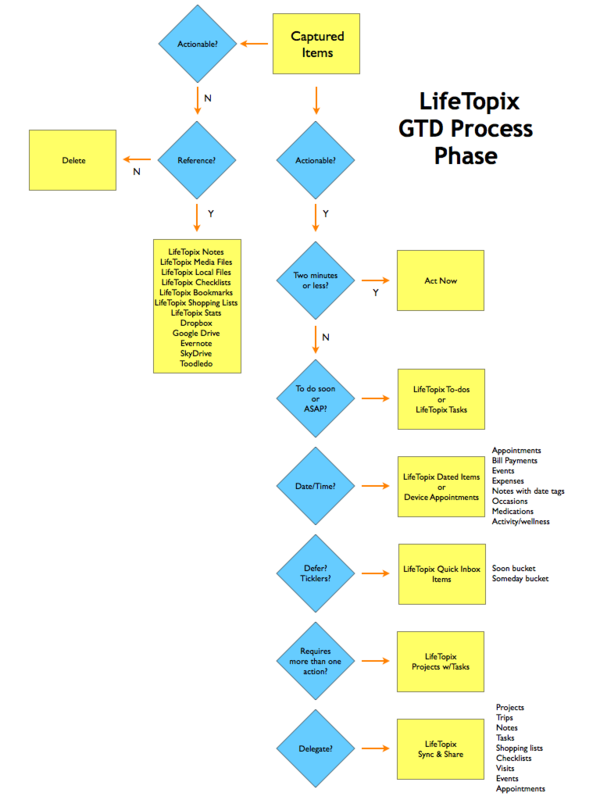 The following diagram shows the choices for the Process Phase in LifeTopix. Non-actionable items include items that you cannot or will not act upon. These might be objects that are not important, not your responsibility, or items for reference — such as background materials in the form of notes, document files, audio, or video. These items might never make their way into LifeTopix in the first place and generally reside in your email or voicemail inboxes. If you find non-actionable items in LifeTopix during a review, you can easily delete these items if they’re no longer needed. 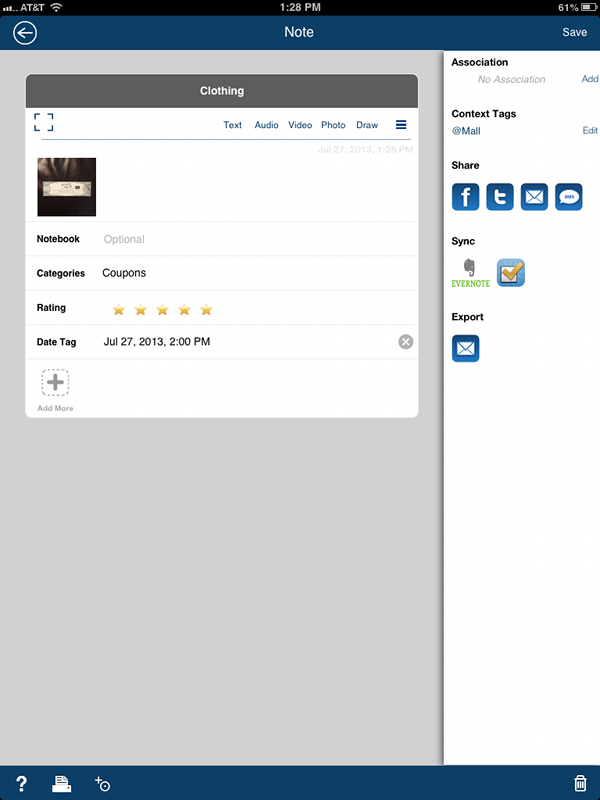 LifeTopix includes features enabling you to organize your important reference materials. For example, you can associate local files; checklists; bookmarks; audio; photos; videos; notes; shopping items; and online files from Dropbox, Google Drive, SkyDrive, Evernote, Toodledo to projects so you’ll always be able to find reference information associated with your actionable items. Generally, during the process phase you focus on making decisions, rather than completing actions; however, if an item can be completed in two minutes or less, then you can go ahead and act immediately. During the Process Phase, you decide which tasks to do right away and soon. If you would like to learn more about prioritizing when using LifeTopix, see Best Practices for Getting Things Done — Prioritizing Tasks in LifeTopix. LifeTopix to-do lists (checklists) are very suitable for small items that you wish to complete soon. If you’ve defined projects with associated tasks in LifeTopix, you can choose to complete the next action that helps you complete the project. You can define to-do lists on the fly directly in the Agenda view or you can define a task list. 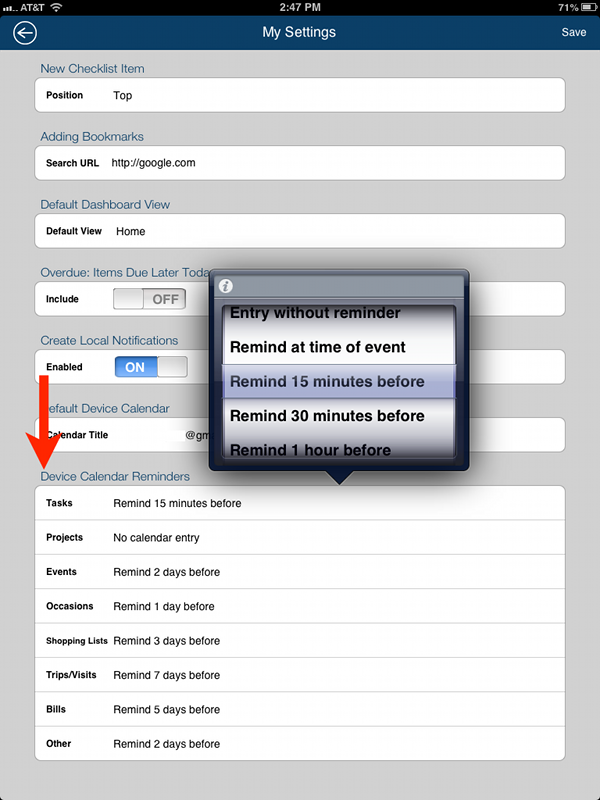 Task lists can include dates if you wish to view them in your Agenda or on your calendar. In addition, you can choose to use online tasks from Asana, Toodledo, or Google. Many objects in LifeTopix can include dates; however, generally when using the GTD method, calendar items should be used for objects that occur at a fixed place or time, such as meetings, doctor’s appointments, or social events. The LifeTopix calendar is the logical place to place these items. Simply tapping the plus sign allows you to add events you’re attending, events you’re hosting, appointments, reminders, occasions, and device events. With LifeTopix, you can also use your online calendars (such as your device calendar, Outlook, or Google calendar) and manage those items via LifeTopix. 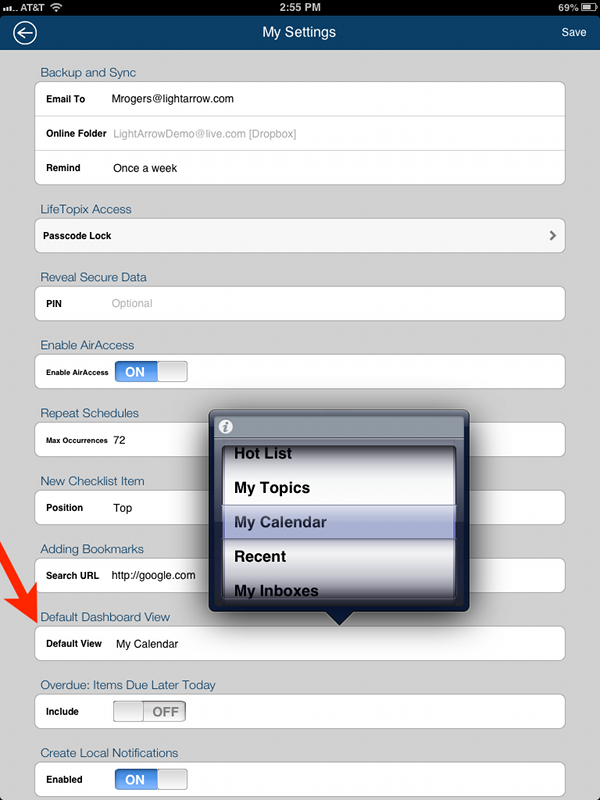 LifeTopix becomes the central place for viewing multiple calendars. Items without a clear due date, items with a due date in the future (ticklers), or items that you wish to do someday (such as learn to speak another language) can be placed in the Quick Inbox as a holding area. These items should be reviewed often. 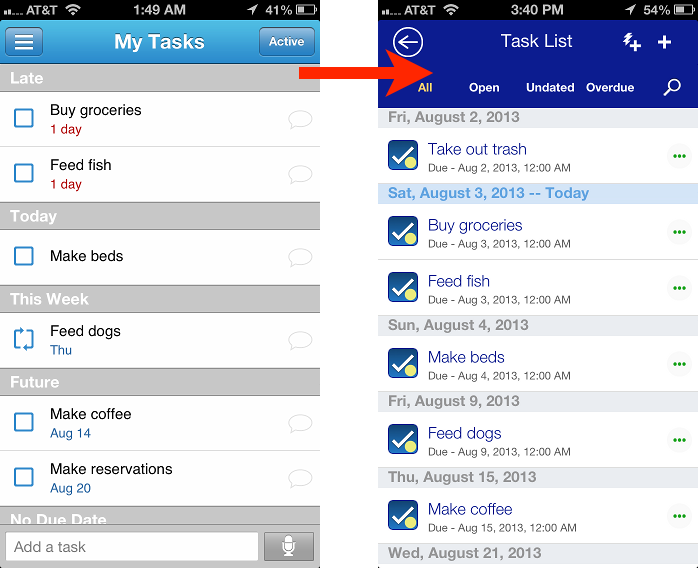 Alternatively, you can create tasks (as task lists) or as a part of a project in the LifeTopix Tasks + Projects topic. These tasks can remain undated and you can review them regularly. In LifeTopix, projects can be used for just about anything you dream up. You can create any type of project for work or your home and tag the project with an appropriate user-defined context tag. 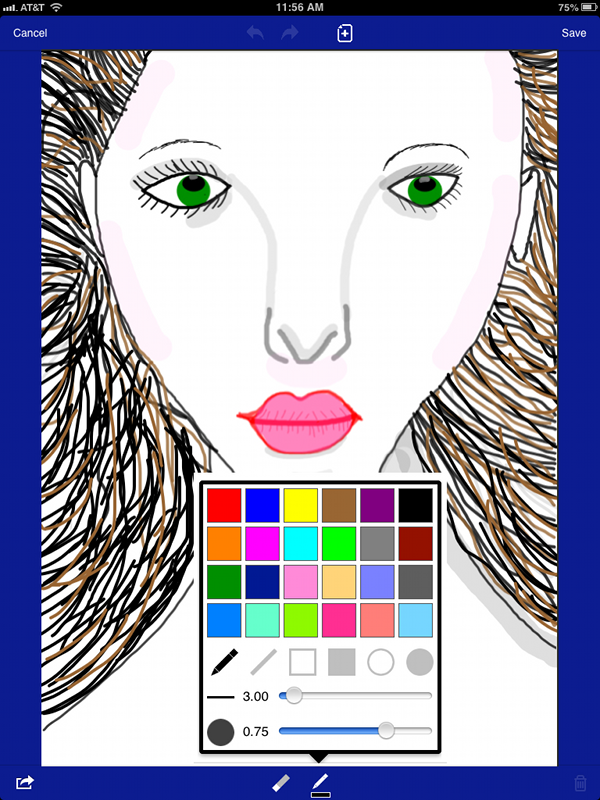 For example, in LifeTopix you can create Health projects; Event projects (for a wedding, graduation, etc. ); Education projects; Work-related projects, and more. For items you wish to delegate, you can email them directly from LifeTopix to the recipient and he or she can open them directly in their LifeTopix app on their device from their email inbox. The ability to share is available for Projects, Trips, Notes, Tasks, Shopping lists, Checklists, Visits, Events, and Appointments. 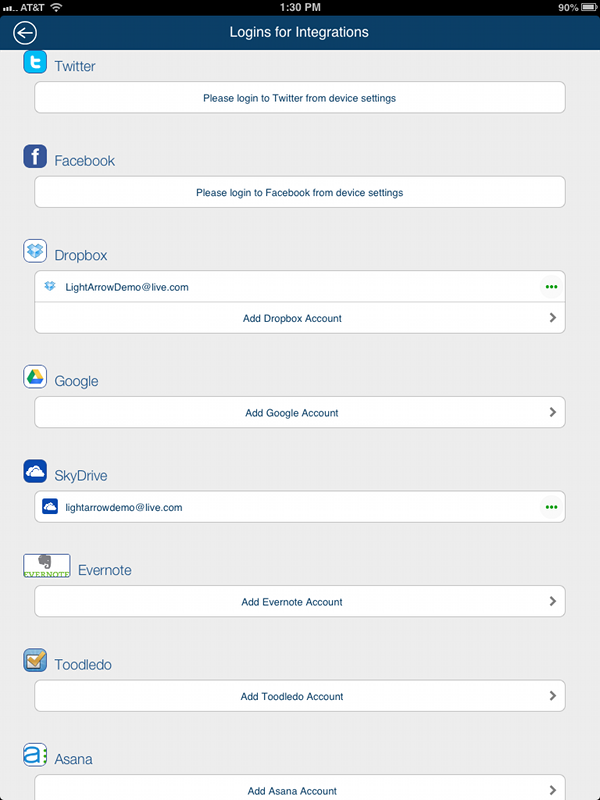 Another option for sharing includes using a shared Dropbox account with team members or family members and using Cloud Sync. 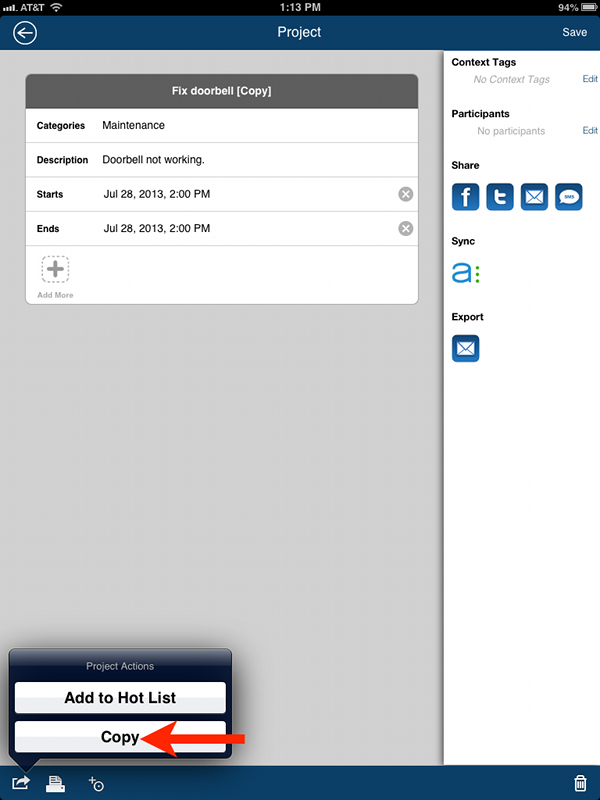 And if you wish, you can use Toodledo or Asana for your task management, which allows you to share with team members. Please comment on how you use LifeTopix for the Processing Phase. Today is an exciting day for us. Today we have expanded our app portfolio with My.Agenda — for users who desire an easy-to-use app for managing their busy lives, but want more than just a simple to-do list app. My.Agenda, a complete organizer and planner, lets users start small and add new productivity topics as their personal organization needs evolve. Since 2010, LightAr­row has been providing users with one of the most comprehensive apps for managing all aspects of their lives and businesses. My.Agenda targets a new segment of users who want to start small without sacrificing power. If you already have LifeTopix, you do not need My.Agenda, since it is like a “starter edition” of LifeTopix. If you are an avid user of LifeTopix, you have most likely been in active conversations with us regarding improvements that are coming soon and down the road. 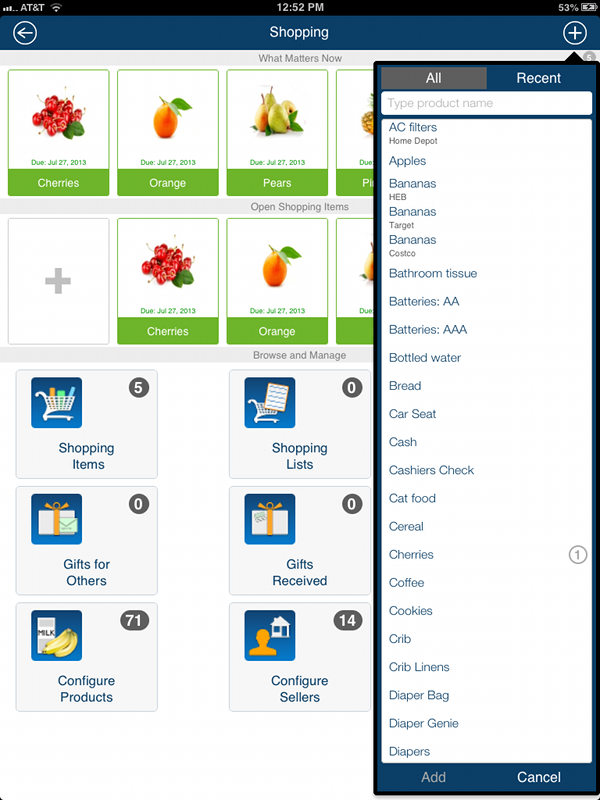 In our next update of LifeTopix in May, there are several significant improvements, specifically in the areas of Shopping, Notes, People, and also in the My Calendar views. There are many improvements in other areas as well, and we will continue to enhance LifeTopix frequently with updates over the next months and years. We have been adding exceptional talent to our development team. We are planning to offer several new apps for personal organization and business, and expand our support of platforms to include Windows 8, Android, and also full app support on the Mac. We will also continue to improve our integrations with existing and new online services popular with our users. Team LightArrow works tirelessly to support our users and improve our apps. We have been fortunate to have users we love – you inspire us every step of the way. We are very grateful. We do recognize that in several areas we have a long way to go. We are in it for the long haul. We love what we do, and we will continue execute fiercely on our great vision. We believe in it passionately.